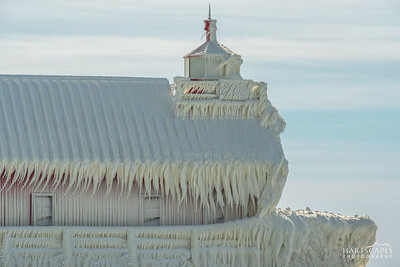 As a result of high wind and the polar vortex, the Grand Haven Lighthouse got encased in thick heavy ice. 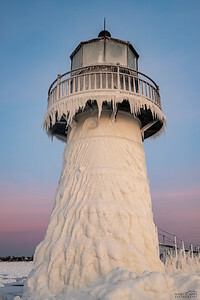 It was fascinating to see this lighthouse from the north pier because as I walked down the pier I immediately thought the lighthouse looked like a frozen ship. 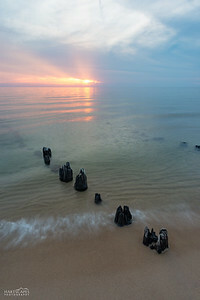 Lake Michigan gives you some pretty amazing sunsets. 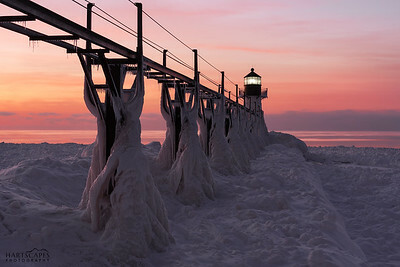 It is no wonder I keep finding myself back on the lakeshore. 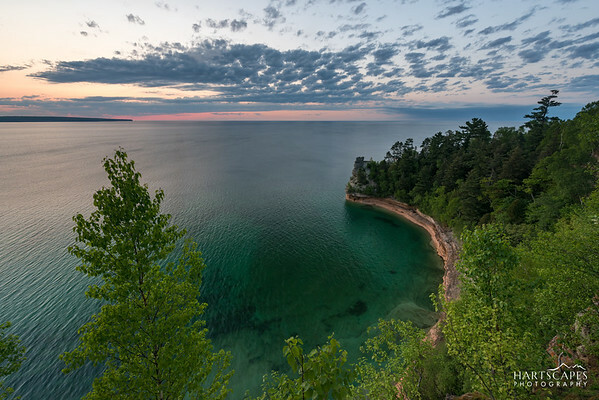 When you first hear about Pictured Rocks National Lakeshore you are most likely told about large rock cliffs and cool rock formations located on the shore of Lake Superior; the great lakes largest and deepest lake. 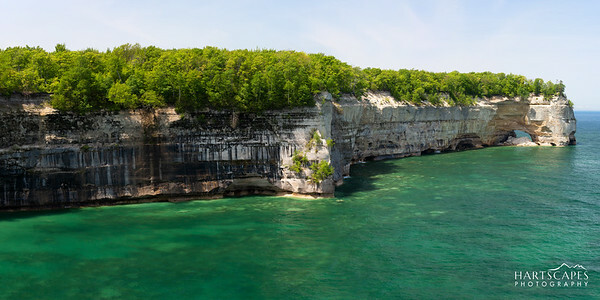 The 1st rock formation that you will most likely see is Miners Castle. 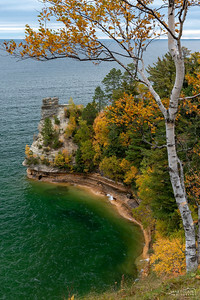 Miners Castle is the closest rock formation to the closest town; Munising, Michigan. 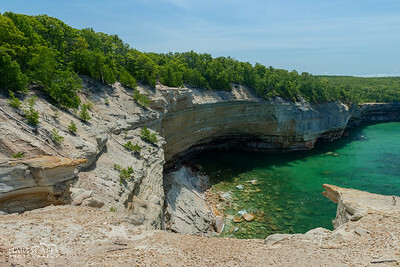 The Pictured Rocks National Lakeshore is one of those places that is ever changing and Miners Castle is no exception to that. Miners Castle used to have two turrets but as you can see there is only one now. In 2006 the 2nd turret collapsed into Lake Superior. 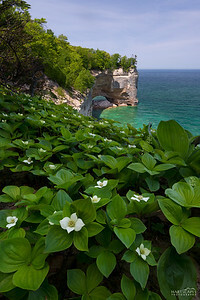 Pictured Rocks National Lakeshore is always changing, and that is mostly due to our harsh winters. As you can see a large section has collapsed into Lake Superior. One can only imagine the sound it had to have made when it fell. 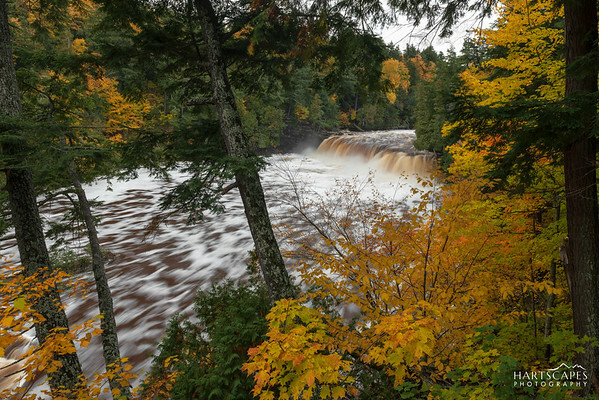 Manabezho Falls is one of the beautiful waterfalls found in the very western part of the Upper Peninsula of Michigan. In fact it is so far west that is over 600 miles from Detroit, Michigan. 600 miles will practicality get you to New York City from Detroit, Michigan. Crazy, ah? 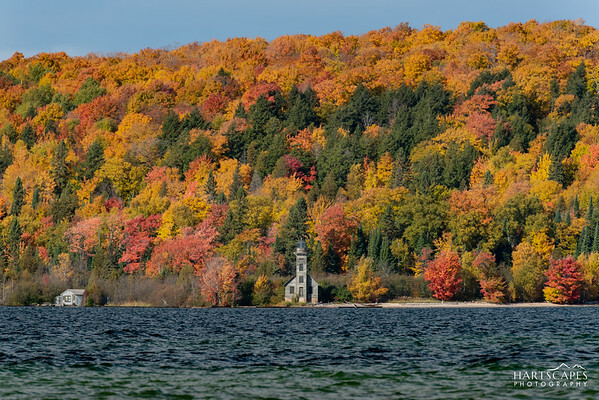 Although, I love New York City, I prefer to visit the UP in the Fall. The width of the Presque Isle River and the variations in the water levels of the river allow for a different view every time I have visited. 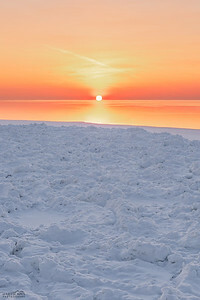 The winter sun slipping away across Lake Michigan just after the polar vortex of 2019 in St. Joseph, Michigan. 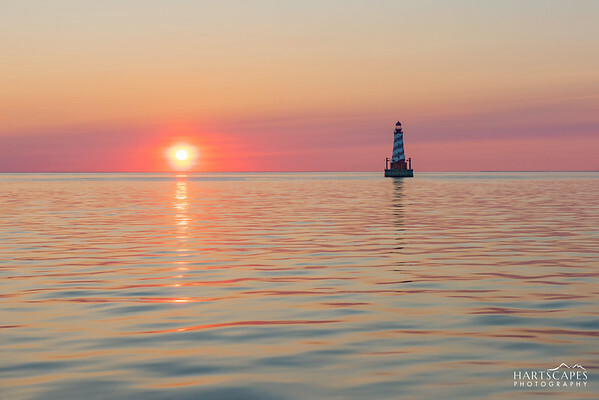 The easiest way to see Pictured Rocks National Lakeshore is via boat and the 1st sight you come to is the Grand Island East Channel Lighthouse. I loved this view because it allowed the lighthouse to be dwarfed by the fall colors of Grand Island. 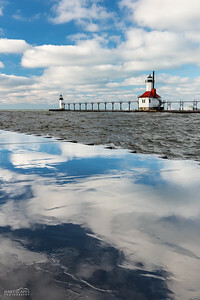 Beautiful white puffy clouds and fantastic blue skies reflected on the pier overlooking the St. Joseph Lighthouse in St. Joseph, Michigan. 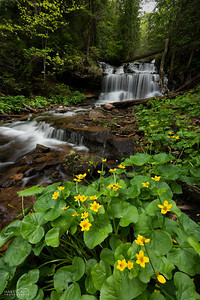 Lake of the Clouds is home to my second favorite trail in Michigan; the escarpment trail. 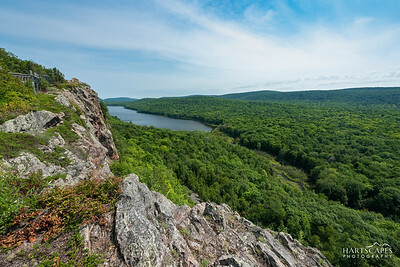 You start your hike at this beautiful view of Lake of the Clouds and hike along the escarpment, the whole length of the lake, giving you so many great panoramic views. Interesting fact; the deepest part of the lake is only 10 feet! 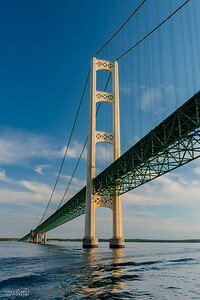 Mackinac Bridge glowing with the beauty of the sunset. Point Iroquois Lighthouse near Sault Ste. Marie, Michigan gives light to all freighter's coming through the Soo Locks. 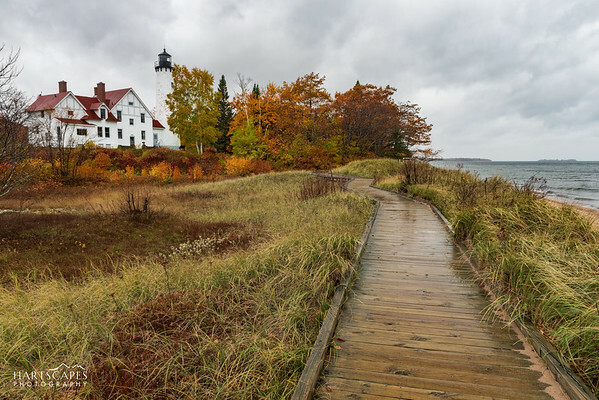 Even on a very rainy day this lighthouse showed its beauty as it was surrounded by fall foliage. 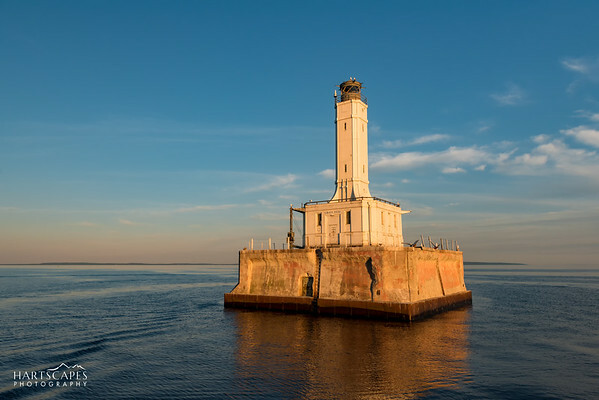 I would love to go back to this Lighthouse on a warmer, drier day and sit and watch the freighters come through. 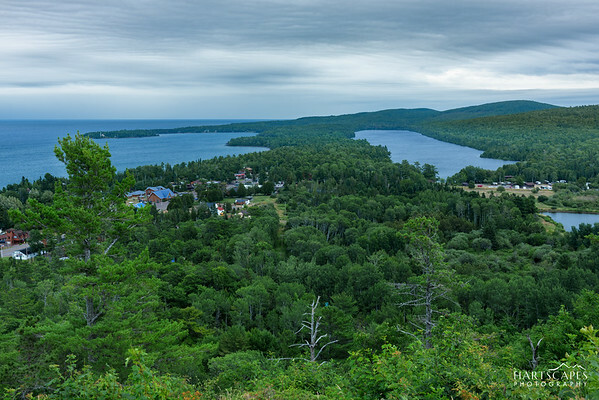 After a curvy drive up the hillside you are treated to a great view of Copper Harbor. Sometimes, if you get lucky, you can see the freighters in the distance. The view of the clouds were fascinating with all of the layers and lines in them. All that character made for a beautiful moody shot. 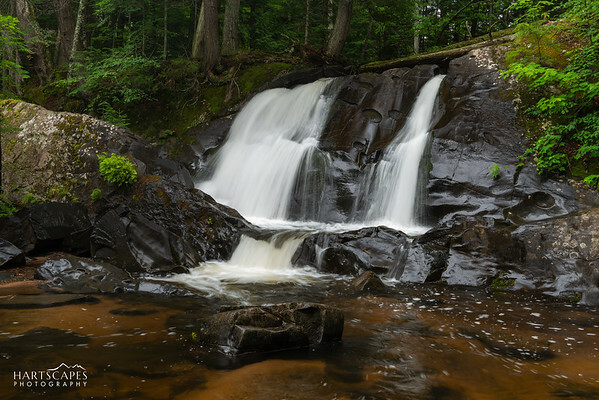 Leatherby Falls is a wild and very remote waterfall in the Upper Peninsula of Michigan. Although it is not a large waterfall it is a very unique waterfall because of the interesting pitting on the basalt (volcanic) rock. The beautiful wet snow stuck to everything it could. 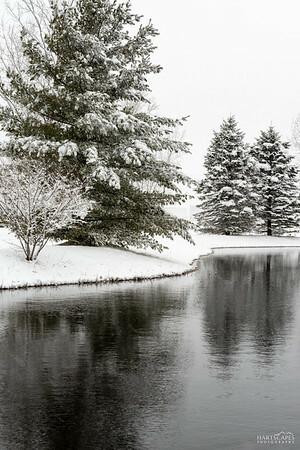 I loved the contrast of the snow and the open water. 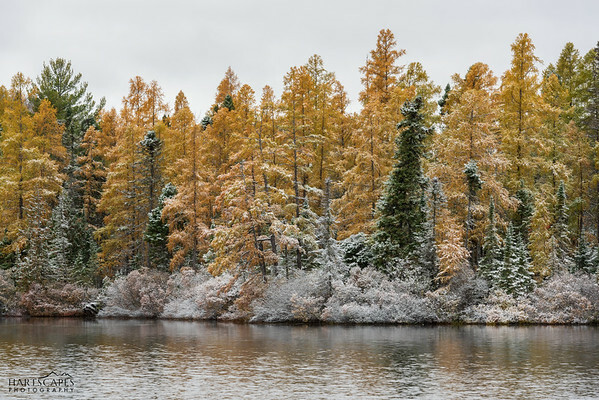 Although, this shot could almost pass as a black and white image it is actually in color.